Kevin Iacofano has been a poker pro for over a decade, with millions in earnings online and another million in cashes in live events. Despite all of that success, a live tournament win had somehow eluded Iacofano. 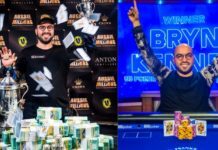 All of that changed when he defeated a field of 887 entries to win the 2018 World Series of Poker Circuit Rio Las Vegas $1,675 no-limit hold’em main event for $259,463 and his first gold ring. “I feel absolutely amazing. 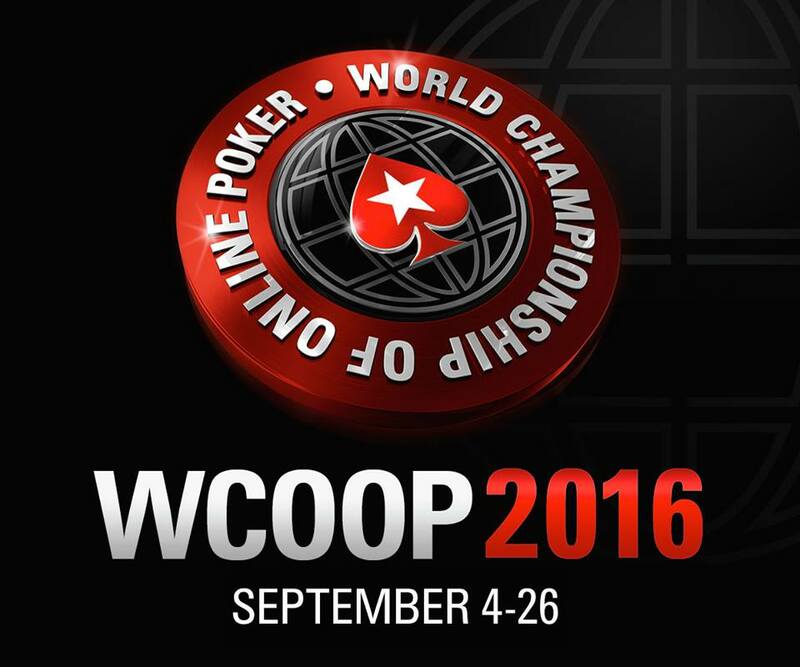 This has been ten, twelve years of hard work,” Iacofano told WSOPreporters after finally emerging victorious with a live tournament title. 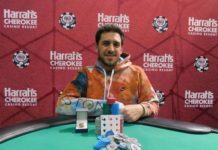 In addition to the title and the money Iacofano was also awarded 912 Card Player Player of the Year points for the win. This was his second final table of the year, and he now sits in 50th place in the overall POY standings as a result of this win. 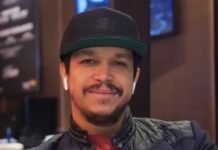 Iacofano came into the final day of this event in seventh chip position with 22 players remaining. 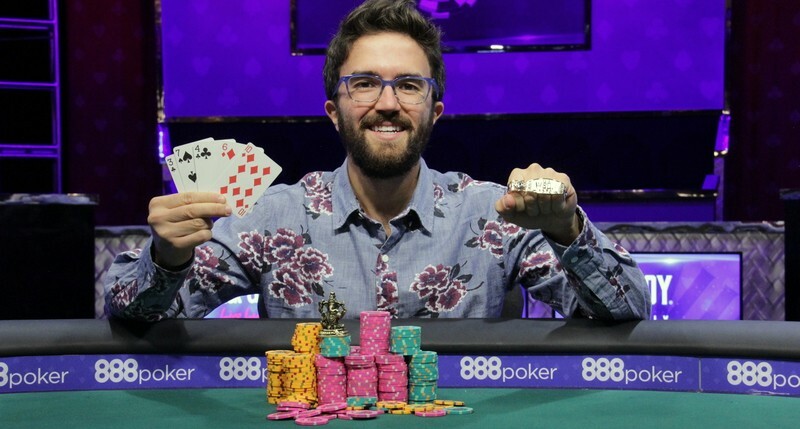 A number of accomplished players fell as the field narrowed down to a final table of nine, including Rex Clinkscales (20th – $9,353), WSOP bracelet winner Arkadiy Tsinis (16th – $13,318) and Joe Kuether (15th – $16,166). 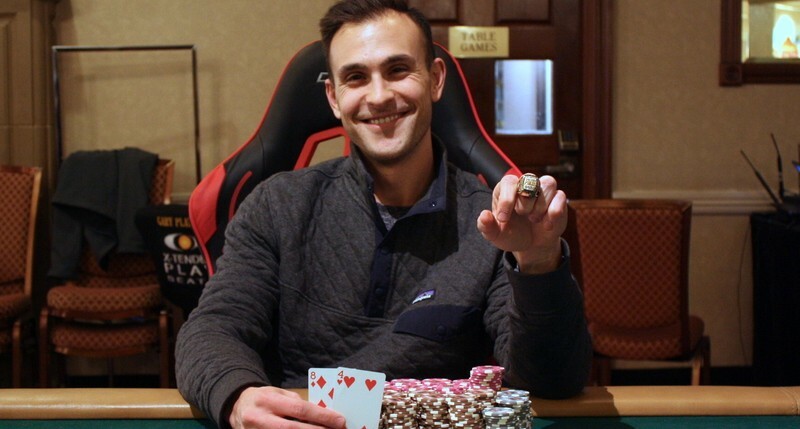 Matt Affleck was the first player eliminated at the final table, losing a race with QDiamond SuitQClub Suit against Nikhil Gera’s ASpade SuitKHeart Suit to hit the rail in ninth place ($24,694). Gera survived to heads-up play, entering the final showdown holding 8.5 million to Iacafano’s 9.3 million. Gera jumped out to a lead early, but Iacafano was able to fight back. 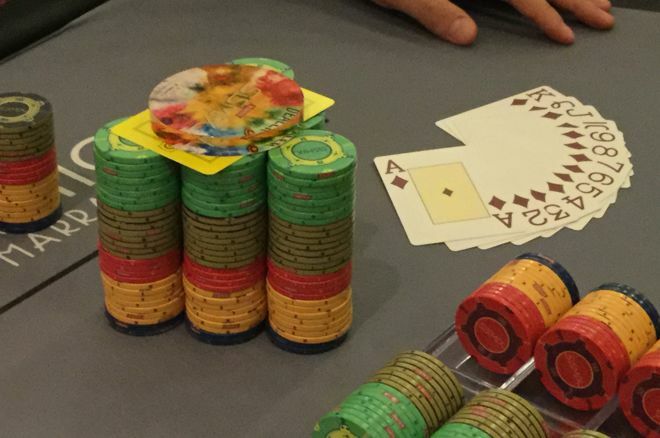 On the final hand Gera limped in and Iacafano checked his big blind. 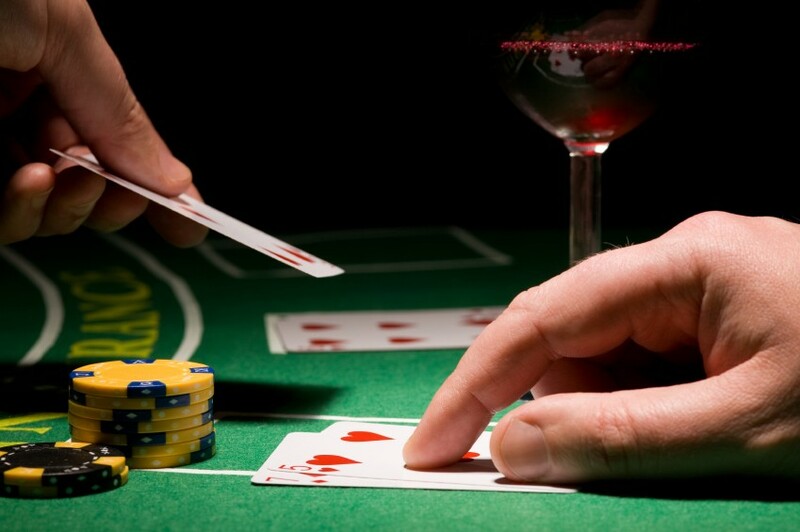 The flop brought the 8Heart Suit7Spade Suit4Diamond Suit and Iacafano checked. Gera bet 300,000 and Iacafano check-raised to 900,000. Gera called and the 2Club Suit hit the turn. Iacafano lead out for 1,600,000 and Gera called. The AHeart Suit completed the baord and Iacafano moved all-in. Gera made the call, only to muck when Iacofano showed the 8Diamond Suit4Heart Suit for a flopped two pair. With that Gera was eliminated in second place, taking home $160,325.